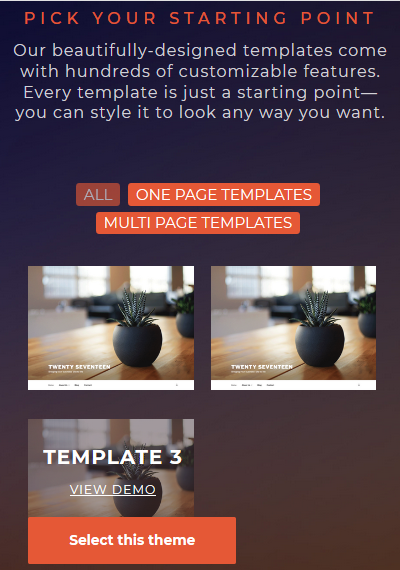 On new blog templates, I have a "template page" enabled where users can view the templates that we offer. On mobile devices, the page looks really bad because it forces two columns for all the templates. Tried to fix it with "column-count" CSS but it wasn't working. Makes the UX really poor and I don't want to lose conversions since about 60% of my website traffic is mobile. I guess that in Blog Templates options you set up "As theme screenshot selection" in type of Type of selection. I use there also important declaration to overwrite New Blog Templates styles. I think you're using a different type of selection than me because I don't see .theme-screenshot-wrap anywhere when I am inspecting the page. I apologize for the misunderstanding, I did not check your site source at start. The css I provide above is for a different type of selection.